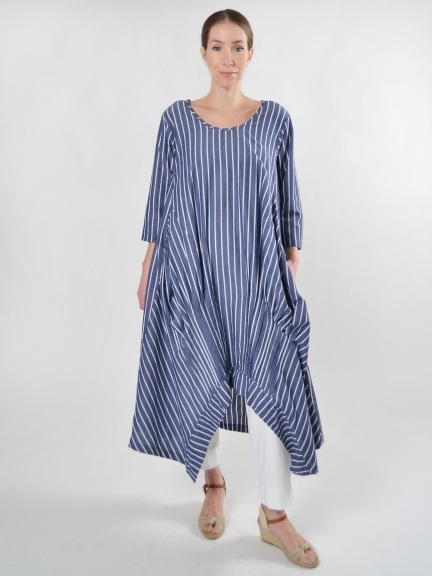 Beautifully flowy lagenlook tunic in a classic shirting stripe can also be worn as a dress. 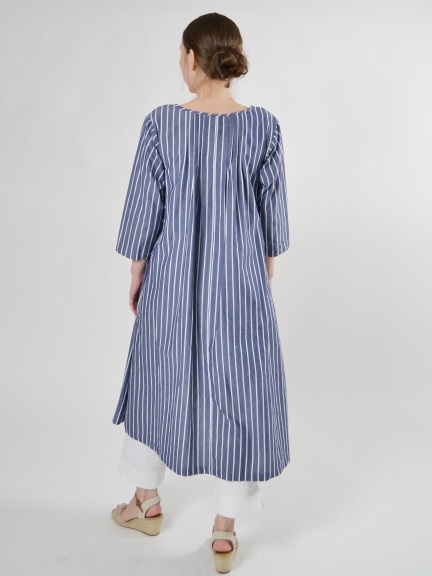 Watteau back features small pleats falling from the shoulders. Pleats and tucks in the front skirt add texture while creating and controlling volume. Bracelet length sleeves. On-seam pockets. Made of 100% cotton.